​Steve's been actively involved in Melbourne's GLBTIQ community since 1991 when he was one of the original members of the Bent TV Management Committee set up to provide "non-stereotypical" images and portrayals of gays and lesbians on Australia's then largest free-to-air TV station (Channel 31) which launched in 1994. 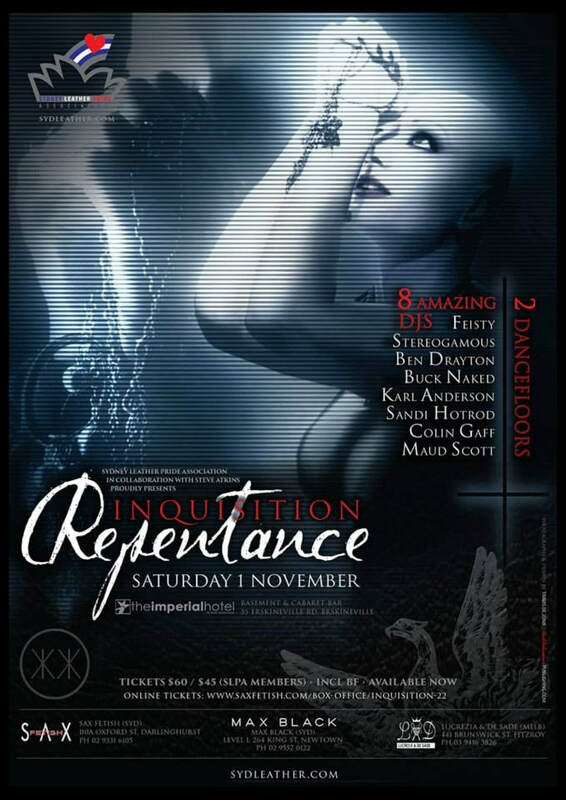 ​As part of the process for getting the station on air, he produced Bent TV's launch fundraising event at 3-faces which also included filming the pilot for Australia's first gay & lesbian dating show "In your Dreams" (produced by Rick Held). In 2005, he with the help of his friend Jamie Perks, created the business plan for turning the dungeon of Melbourne's gay leather cruise club (Club80) into a dance venue for the first time. From one party, "WoofClub" took off not only in Melbourne but also in Sydney and became the first Aussie dance party to successfully traverse the Melbourne/Sydney divide on a frequent rotating schedule. WoofClub also took off in Los Angeles with co-producer Daniel Rover Singer where it ran for 10 years and also in Perth with co-producer Jason Patten. It also became the closing party 2 years in a row for the international bear gathering "Lazy Bear Weekend" near San Francisco. In the 13 and a half years since his first party, Steve has also produced spin-off events such as DogPound aimed at a GLBTIQ audience. 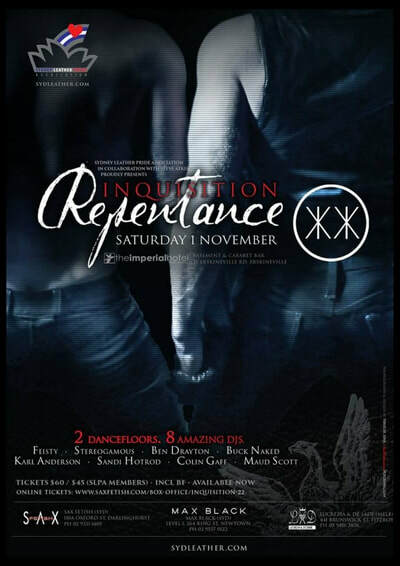 He was also engaged by Sydney Leather Pride to resurrect their ailing flagship event "Inquisition" on its 21st and 22nd Birthday's. The 2 events subtitled "Deliverance" & "Repentance", marketed with the assistance of well-known Sydney & Melbourne photographer/digital artist Travis de Jonk put Inquisition back on the map, both reputationally & financially. After 100's of events, Steve's still producing WoofClub on a regular basis in Melbourne and in Sydney on occasion. Leather Nation is his latest project though. With the aim of pulling together the wider leather, rubber & kink dance community, the pilot event happened in October 2017 @ Saint Martin's Place in St Kilda. Not one to hastily jump in again until the ingredients are right, the follow-up event will take place on Cup Eve at YOURS&MINE (formerly Dream/Dimension NightClub) in Carlton. 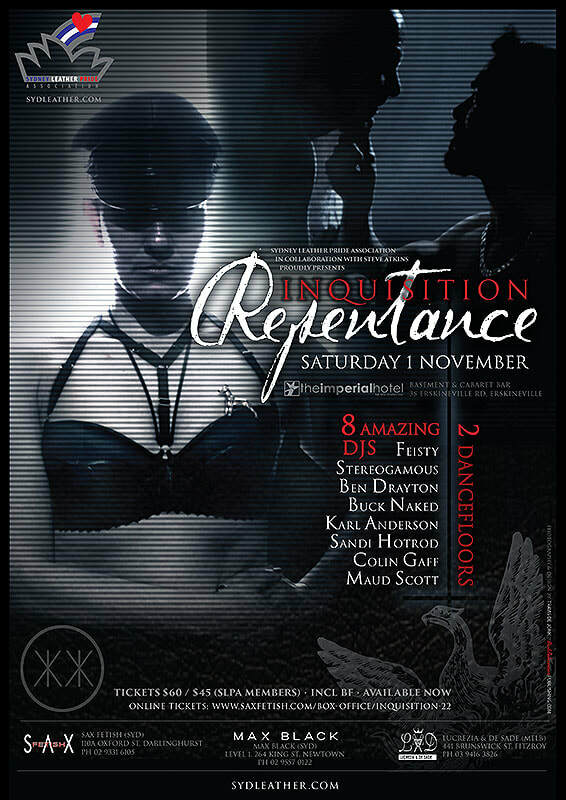 Check out video of Inquistion 21 "Deliverance" courtesy of DJ Rob Davis @ The Imperial Hotel. 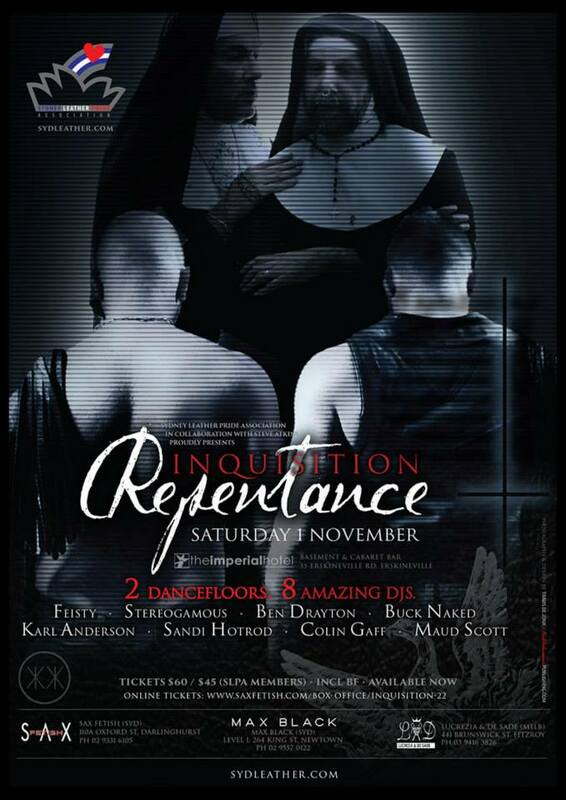 ​Video Marketing below created by Travis de Jonk in collaboration with Steve Atkins for Inquisition's 22nd Birthday "Repentance" - Photography & Videography by Travis de Jonk // ​Creative Direction by Steve.